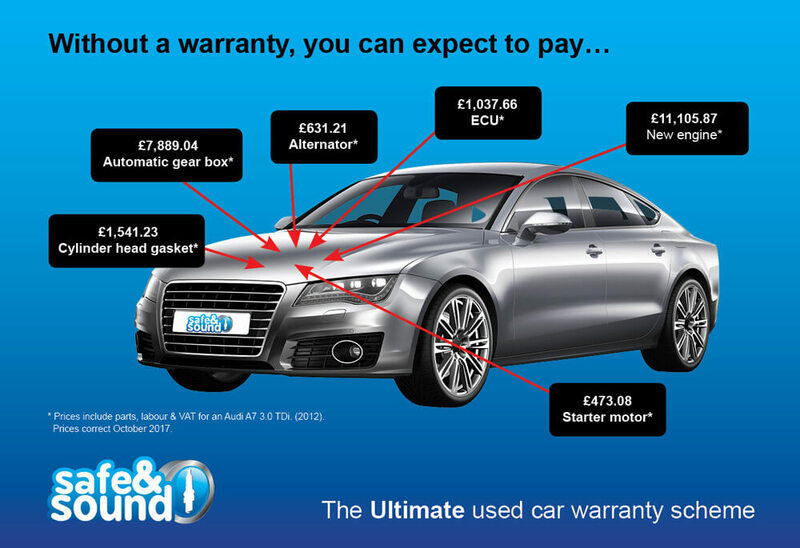 At Camberley Car Centre we make warranties simple, every retail car sold has at least a 3 month AA parts and labour warranty included in the asking price. The ‘Safe and Sound’ award winning warranty package endorsed ‘Ex Stig’ Ben Collins is only available to selected dealers and we are looking forward to continuing our relationship with the industry’s leading warranty provider. You will be given the option to extend your cover for up to 3 years giving you total peace of mind. For more information on the Safe and Sound programme please watch the video below.